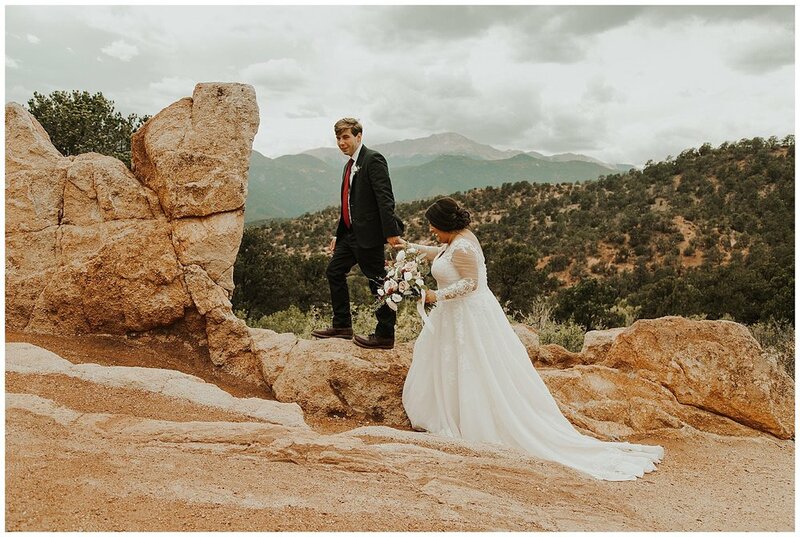 Amanda and Kevin were married in the Garden of Gods park on a beautiful October day with a few of their closest friends and family. It was such a joy to work with them to design their destination wedding. I was so excited when Amanda asked me to style her reception. She wanted a modern Southwest design, which I love because it’s full of rich colors and textures! 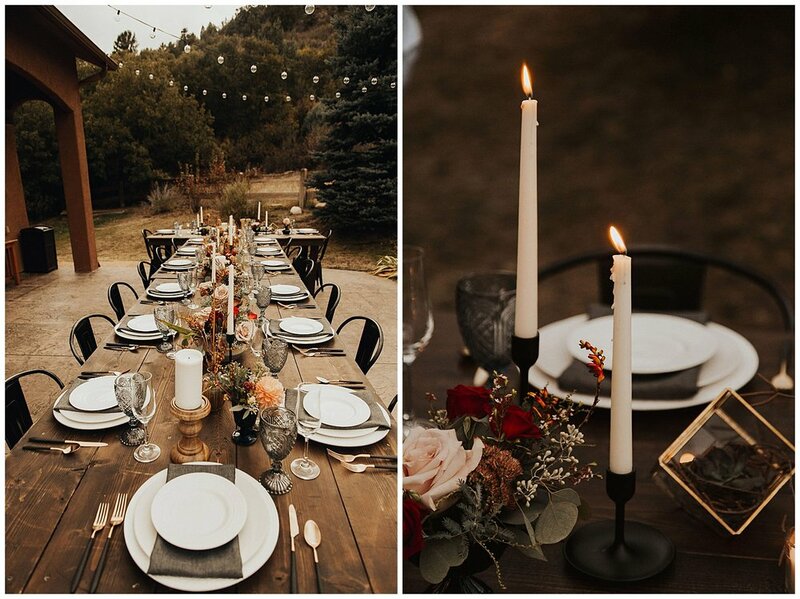 The table setting was made up of two-toned flatware-matted black and gold, classic ivory plates, a textured charcoal linen napkin, and a beautiful grey-blue goblet. I loved the contrast of black, natural wood, and golds. The flowers were a mix of roses, dahlias, sedum, montbresia, pee-gee hydrangea, eucalyptus, thistle, berries, succulents, pods, and other dried elements.